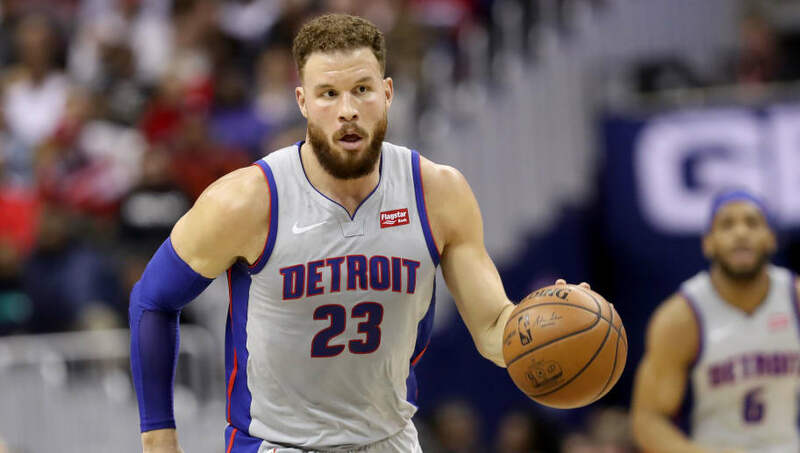 Almost a year to the day he was traded, Blake Griffin is looking to get shipped out of Detroit. At least that's the latest NBA rumor. The star forward has been putting up amazing numbers, but in relative anonymity on the 21-27 Detroit Pistons. After Griffin very publicly called out his Pistons teammates, it appears as if the 29-year-old forward wants out of the Motor City, at least according to Brandon Robinson. A former Rookie of the Year, Griffin made five All-Star teams and four All-NBA teams during his time with the Los Angeles Clippers. He was traded last season in exchange for a package centered around Tobias Harris. In his first year under Dwane Casey, Griffin is averaging a career-high 26.5 points and 8.1 rebounds per game on 48 percent shooting and 36 percent from 3-point range. Griffin has reasserted himself as one of the best offensive talents in the league regardless of position. If he is moved, the New York Knicks and Dallas Mavericks have been mentioned as his preferred destinations, with the Denver Nuggets and Miami Heat also on the list. ​​While New York needs someone that can score inside with Enes Kanter frozen out of the lineup, the thought of him paired with Luka Doncic could be nightmare inducing for Western Conference defenses.